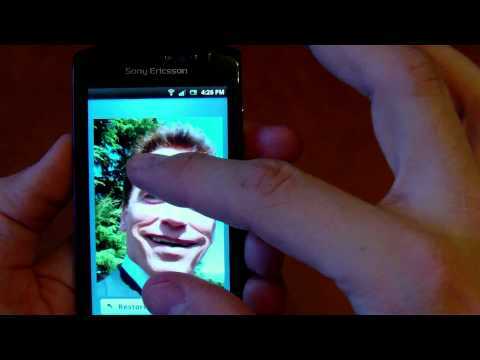 Welcome to a whole new level of face warping fun! Just take (or choose) a picture then smudge, bloat or pucker it in any way you desire. Transform yourself into a chubby or skinny person, make fun of friends by turning them into funny memes - the only limitation is your twisted imagination. - Drag brush that moves the pixels around as you drag your finger across the screen - best feature for a wider than usual smile!